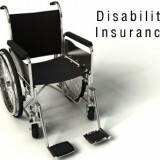 Home » Articles » Long Term Disability Insurance – common questions. Long Term Disability Insurance – common questions. A. Coverage varies from policy to policy, but generally speaking, LTD policies cover any type of injury or illness that prevents you from being able to work. Some policies exclude certain illnesses, while others exclude work-related injuries or illnesses. For the details of what is covered and not covered, you need to read the policy. If you don’t have the policy and are covered under a group insurance plan, the benefits booklet provided to you by your employer is a place to start. Q. My policy says I need to be “totally disabled” in order to receive benefits. To me, that means I would have to be in a coma or be otherwise completely debilitated. Is that the test? The test of total disability is satisfied when the circumstances are such that a reasonable man would recognize that he should not engage in certain activity even though he literally is not physically unable to do so. In other words, total disability does not mean absolute physical inability to transact any kind of business pertaining to one’s occupation, but rather that there is a total disability if the insured’s injuries are such that common care and prudence require him to desist from his business or occupation in order to effectuate a cure; hence, if the condition of the insured is such that in order to effect a cure or prolongation of life, common care and prudence will require that he cease work, he is totally disabled within the meaning of health or accident insurance policies. Q. I just got a letter from my insurance company terminating my claim for long-term disability benefits. I still don’t feel as though I can go back to work, and my doctor agrees. What should I do? A. As a first step, read the letter from the insurance company very carefully. What reason has it given for terminating your benefits? Has it asked you or your doctor for forms or information that have not been provided? If so, contact the company immediately, explain the reason for delay, and make arrangements to get the information that has been requested to the insurer right away. Document your conversation in writing, preferably by brief letter or e-mail. If the delay is with your doctor, contact your doctor and explain the urgency of the situation. Then tell the insurance company that you have reminded the doctor again. Document both conversations. In some cases, especially ones involving mood disorders, an insurance company will deny or terminate the claim on the basis that there is “no objective evidence” to support the finding of disability. Read your policy (or if you do not have your policy, the policy booklet provided by your employer will give you a place to start). Does the policy require “objective evidence” in order to support a claim? Some policies do, but insurance companies have been known to demand “objective evidence” where the policy contains no such requirement. If the policy does require “objective evidence,” ask the insurance company representative what type of objective evidence would be acceptable in your case. Document the conversation. Be aware of any deadlines imposed by the insurance company to provide more information or to take legal action. If in doubt about these deadlines, ask. In any situation in which your LTD benefits have been denied or terminated, you should speak with a lawyer who has experience in handling LTD claims as quickly as possible before making any decisions about your claim. A. Often, yes. LTD policies are not standardized and it is therefore impossible to advise you as to your rights and obligations under the policy without reading the policy. However, most LTD policies provide for an “offset” for CPP disability benefits (meaning that if you are awarded CPP disability benefits, the insurance company gets to deduct the amount of the CPP benefit from the amount of LTD benefit it is paying to you). Since your receipt of CPP disability benefits saves the insurance company money, many policies require you to apply for CPP disability benefits, and some even require you to appeal if your claim is initially denied. Again, these obligations are found in the policy. If your insurance company is demanding that you do something, ask the insurer’s representative for a copy of the policy and get him or her to point out to you the specific provision that he or she is relying upon. A. As mentioned above, LTD contracts are not standardized and the wording therefore varies from insurer to insurer, and policy to policy. Typically, however, LTD policies require the insurer to pay your benefits for two years after you become disabled so long as you are unable to do the job you were doing when you became disabled. After the two-year mark, the evidence must show that you are unable to do any job for which you are reasonably suited in order to continue receiving benefits. Benefits are usually payable until you turn 65, so long as you continue to meet the policy requirements. In the vernacular of the industry, this is known as an “own occ, any occ” policy. Because the “test” that must be met during the “own occ” period of the policy is easier, and because the insurance company’s potential exposure is lower, insurance companies will often agree to pay benefits during the “own occ” period, but resist paying benefits into the “any occ” period (during which their potential payout, especially for a young person, could be significant). Accordingly, they will often arrange insurer’s medical examinations (IMEs) to take place a month or two before the “any occ” definition takes effect in the hope of obtaining medical evidence upon which they can rely in terminating the claim at the end of the “own occ” period. They may also conduct surveillance. If you are unable to work in any reasonable capacity, you should anticipate that the insurance company will want to see proof, in the form of medical forms or reports, from your treating physicians confirming that you meet the “any occ” test. This evidence should be provided to the company at least a month or two before the “any occ” period begins to avoid any delay in receipt of your benefits. Again, to avoid any disruption in your payments, you should speak with a lawyer as soon as possible after you receive notice that your benefits may be terminated. Q. You referred to “surveillance” in the last answer. What do you mean? A. Insurance companies will often hire private investigators to watch, follow, photograph, and film a claimant; and to interview the claimant’s neighbors, former co-workers, and others. This is done to verify the level of activity being reported by the claimant and to weed out potentially fraudulent claims. If you are honest and forthright with the insurance company, doctors (both yours and the insurance company’s), and others you have nothing to fear from surveillance. It will, in fact, help you, because it will corroborate the other evidence provided by you and your physicians in support of your claim. If you are dishonest, however; or if you fail to disclose relevant information, surveillance can hurt you. Q. My doctor and my specialist both agree that I am “totally disabled,” and I have sent reports from both of them to my insurance company. Notwithstanding that, the company wants me to be seen by “their” doctor. Do I have to see the insurance company’s doctor? A. Normally, yes. LTD policies generally give the insurance company the right to have claimants assessed by a doctor of the company’s choosing. If you have sued the insurance company, the rules of court also allow the insurance company to have you examined. The right to require a person to be examined by a health practitioner is not, however, absolute. The examination must be reasonable, and the examiner must be reasonably qualified to offer an opinion on the type of disability in issue. If you are in doubt, contact a lawyer with expertise in the area before agreeing to attend. Q. I was diagnosed with bipolar disorder and had to claim Long-Term Disability benefits through my employer’s group insurer. After I went on LTD benefits, the company I was working for went bankrupt. Will this affect my LTD claim? Q. Are LTD benefits taxable? A. LTD policies require the insurance company to pay an ongoing amount, usually monthly, while you meet the disability “test.” The insurance company is not obligated to pay the benefits in advance, or in a lump sum. In some circumstances, however, the insurance company may agree to pay a lump sum amount in exchange for the surrender of all future rights under the policy. Q. My insurance company denied my claim. I can’t work. How can I afford a lawyer? Maximizing the value of a long term disability claim is a complex task, and one which requires a great deal of skill and knowledge. Jan Fishman is a Vancouver Disability Lawyer with the skill and knowledge to help you maximize your long term disability claim. Has your long term disability claim been terminated or denied? Contact Jan Fishman and put his experience to work for you.